Velvety-soft Napa Cabernet berries ripening slowly in the mild October sun. 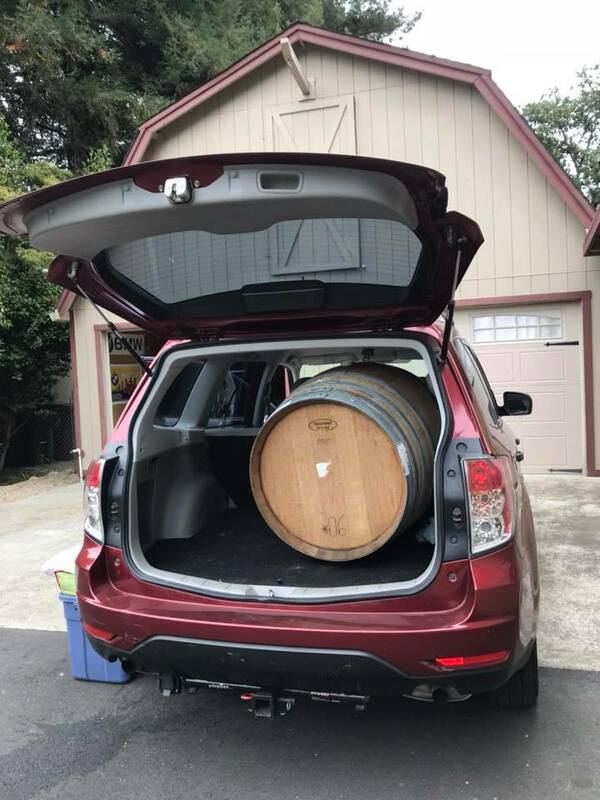 A year ago today I was frantically driving around Napa’s Rutherford and Oakville back roads, dodging Police barricades and sneaking around road blocks to check on the last of my Napa Cabernet. 95% of my harvest was in the barn but I still had to get the last bit in as power outages and mandatory evacuations from the Tubbs, Atlas, Nunn’s and Partrick fires threw all plans into disarray. As a complete contrast, this year on October 9 I have yet to harvest a single Cabernet berry statewide. It’s what makes a Subaru a Subaru….cooperage gets a lift. And I’m not panicking. 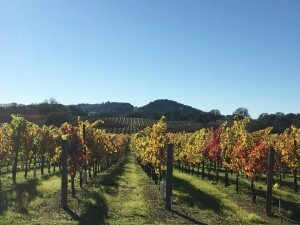 So far, 2018 is mirroring all the best parts about the 2010 vintage (cooler measured growing season, robust acidities, great freshness and fruit tone) with none of the bad bits (early frost burns, an early fall heat spike that caused raisining in the Pinot Noir). Though the cool weather in June meant an extended veraison and a subsequent extension of ripening, all my Napa and Sonoma County Pinot Noir and Chardonnay grapes are now harvested. 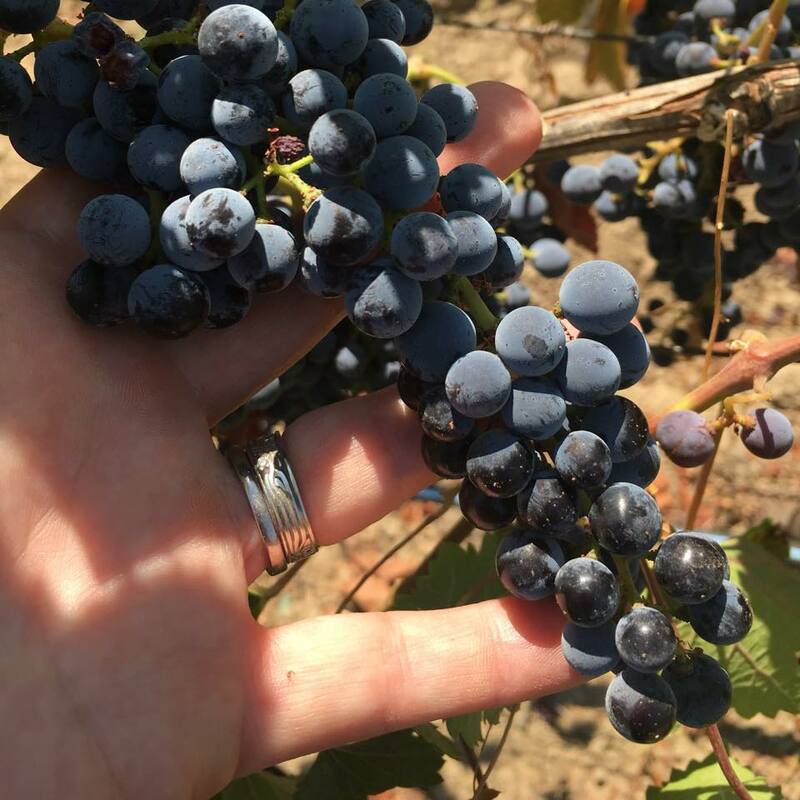 I’m still combing through Monterey County for my Garnet Vineyards and Verada Pinots, but the moderate brixes, higher acidities and refined tannins are proving that even this late in the Pinot game, the grapes are not overripe and are coming in just to my taste- perfectly balanced. 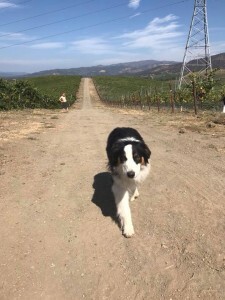 Huey enjoyed walking the Carneros Hills scouting out the last Pinots. 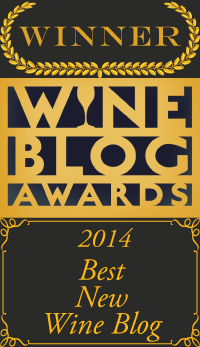 What does all this mean for the coastal California 2018 Vintage writ large? If our annual Fall rains can hold off until all the fruit is picked this could be one of my very favorite vintages of all time and dare I predict, a darling-to-be of the cognoscenti. The 2018 wines, both early Pinots and later Cabs, will be fruity, brightly colored, approachable in youth but very age-worthy. Though I wasn’t around to witness them, I’ve heard the term “old school” bandied about by industry veterans, indicating that 2018 could hearken back to the moderately-boozy yet character-rich vintages from the 1980’s. Falling acorns are a sign of the impending Cabernet Harvest. 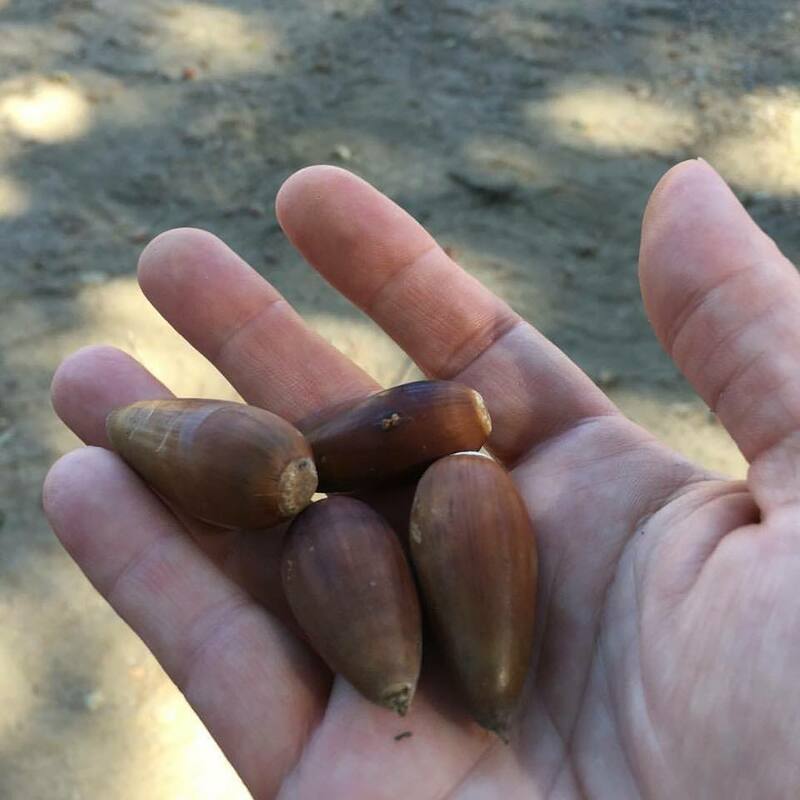 The acorns are ripe and falling off the trees, the Halloween decorations have started to come out around our west-Napa neighborhood and we’re all grateful to be here a year after the 2017 Wine Country Fires menaced our paradise. Maybe it’s no wonder I’m having some nostalgic Fall feelings in light of what we endured a year ago. As I walk our blocks from Napa to Sonoma to Paso Robles, rolling soft, round Cabernet berries between my fingers, the blues seem more brilliant, the leaves underfoot more vibrantly yellow. This year I suspect I’m not alone in embracing a comforting slide into what is turning out to be a stately and elegant “old school” Harvest.